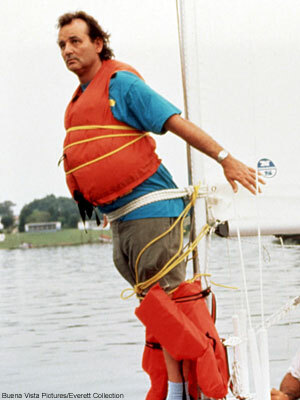 In the movie, What About Bob?, Bill Murray is hilarious! At one point, he is strapped to the mast of a sail boat. Sailing. It is something that I have never tried. Someday perhaps. 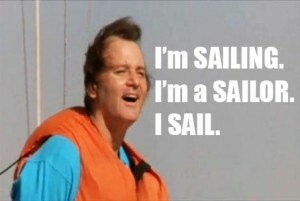 But I do know something about sailing. Going from point A to point B is rarely, if ever, a straight line. Even as I type these words, I recall all the twists and turns I have experienced. 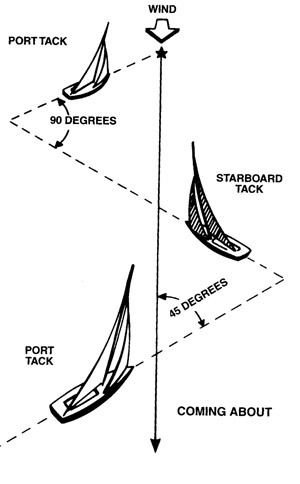 In the language of sailing, it is called tacking. Another picture to help with the idea. There many more photos from which you could choose to better understand tacking but this one worked for me. Sailing a boat: There is a goal. There is a course that is plotted to get to the goal. But then the wind blows. Start tacking. Progress can be slowed but it is still progress. Following Jesus: God plants goals, visions, passions, and dreams into our hearts. We set out to achieve all of these things for God. But then the wind blows. Start tacking. Our forward progress is slowed but we still move forward. Sure, I make mistakes. Life happens and I get wronged. Whether I did something or something was done to me, there is some readjusting to be done. Tacking. So when rejection (this could mean your sin or someone else’s sin) occurs, will I regret or redirect? We are all sailing through this life. And the wind is usually blowing. Regret means to stop forward progress by not changing according to God’s standard. Redirect means to move forward by adjusting to God’s will and changing directions.